Martin Edwards is known as both a writer of crime novels and an expert in Golden Age detection. I’ve enjoyed both areas of his writing and I’m delighted to see a new direction for this author. Gallows Court, uses his knowledge of classic crime but gives a 1930s setting a contemporary twist. Rachel Severnake is a rich heiress, the daughter of a renowned hanging judge. She grew up on the desolate island of Gaunt and is renowned for solving the Chorus Girl Murder, to the embarrassment of Scotland Yard. In a smog filled London, women are being brutally killed and young newspaper reporter, Jacob Flint, is looking for a scoop which will make his career. His attempts to contact Rachel are met with rebuff and he becomes convinced she has some insight into the killer. Historical crime can sometimes suffer from a sentimental view of the period in which it’s set. Edwards deftly avoids this cliché, depicting London as dark, grimy and cowering in the face of killings. It’s difficult throughout the book to decide if Rachel is hero or anti-hero, which greatly adds to the tension, keeping the reader perpetually unsettled. There are hints of Agatha Christie’s And Then There Were None, both in terms of the sense of menace and scenes set on the island of Gaunt where Rachel is raised. I’m sure Edwards’ existing fans will love this change of tone but he should also garner new readers for his excellent fiction. I’m very glad you enjoyed this, Sarah, ‘though I can’t say I’m surprised. Martin Edwards is very talented, isn’t he? And the story does sound good. He is very talented, I agree! I’m going to suggest this for my crime bookgroup. Your comment that this doesn’t suffer from the sentimental view of the period has changed my intention where this book is concerned. 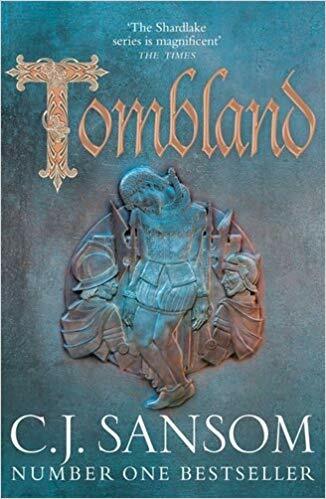 I wasn’t going to read it because I find that to be a frequent problem with historical crime fiction, but I do like Edwards’ work so now I will give it a try. Sounds great. I think the author has researched the period well and it gives the book an authentic feel. Hello Sarah. I will definitely read Gallows Court, as personally I like historical crime. The story sounds good and the thought of a dark and murky pre-war London intrigues me. I’m sure I’ve read The Coffin Trail at some point so will have to dig that out again. Thanks, Kathy. I love historical crime too but nothing to glossy. I loved the setting here. I will definitely be reading this one, when it is available in the US. Meanwhile I will continue reading the Harry Devlin series. I agree with you Sarah – this one’s a real winner for Martin.